Around this time last year, the Beer Institute (BI), a national trade association representing the American brewing industry, warned that President Donald Trump’s aluminum and steel tariffs would cost the beer industry $347 million annually and potentially lead to the loss of 20,000 jobs. Well, as it turns out, the BI’s worst fears are coming true. The Washington, D.C., lobbying group tapped Austin, Texas-based Harbor Aluminum — a research firm that specializes in the global aluminum industry – to study and estimate the cost of aluminum tariffs under section 232 of the Trade Expansion Act of 1962 since they were imposed on March 8, 2018. According to the firm — which compiles, develops, and analyzes industry data and market intelligence for more than 300 companies across the aluminum supply chain — the U.S. beverage industry paid about $250 million for aluminum cansheet between March and December of last year. During that same period, however, the United States Department of the Treasury collected just $50 million, while U.S. smelters and rolling mills pocketed the rest. Here’s the rub: The U.S. cansheet used to produce beverage cans contains 70 percent domestic scrap metal, which is exempt from tariffs. The other 30 percent comes from imported primary aluminum. But according to the BI, domestic beverage manufacturers paid a tariff on 100 percent of the cansheet used to make beverage cans. Harbor Aluminum estimates that U.S. rolling mills and smelters raked in $173 million and $27 million, respectively, over a 10-month period by charging end users a “tariff-paid price” on the entire aluminum cansheet used to make beverage containers. In other words, rolling mills and smelters are effectively stealing from beverage manufacturers by overcharging for cansheet as if it was made entirely from imported primary aluminum. Speaking to CNBC, McGreevy said many brewing companies have decided to absorb the increased costs of aluminum, while others have raised prices and passed it along to consumers. In a conversation with Brewbound last March, Robert Budway, the president of the Can Manufacturers Institute (CMI), said President Trump’s 10 percent tariff on aluminum would add about 1 penny to the cost of every can. At that rate, a brewery making 10,000 barrels would be forced to pay an additional $20,000 annually. Last June, MillerCoors CEO Gavin Hattersley said the tariffs would cost his company $40 million. And according to McGreevy, Minnesota’s Summit Brewing shelled out an extra $160,000 in 2018. “This is affecting brewers of all sizes,” he told CNBC. 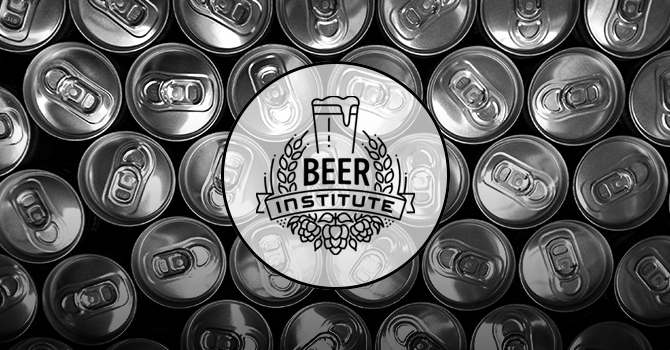 Approximately 60 percent of the beer produced and sold in the U.S. is packed in aluminum cans and bottles, the BI estimates. In addition to the BI and the Brewers Association, the American Beverage Association and the CMI oppose tariffs on steel and aluminum.